Experience an immersive viewing experience in a thin design with the U2419H UltraSharp 24" 16:9 IPS Monitor from Dell, which features a native resolution of 1920 x 1080with a 60 Hz refresh rate, as well as coverage for 99% of the sRGB and Rec. 709 color gamuts, and 85% of the DCI-P3 color gamut. It also features In-Plane Switching (IPS) technology, support for 16.7 million colors, a 16:9 aspect ratio, an anti-glare coating with a 3H hardness rating, a static contrast ratio of 1000:1, a typical brightness level of 250 cd/m2, an 8 ms response time in normal mode, and a 5 ms response time in fast mode. Using the 178° horizontal and vertical viewing angles, it is possible to watch content from virtually any position. Dell's U2419H has DisplayPort 1.4 and HDMI 1.4 inputs, a DisplayPort output, four USB 3.0 Type-A ports, two of which support battery charging via the BC 1.2 spec up to 2A, and a USB 3.0 Type-B port for connecting it to your host system. If you'd like to output audio, there is a 3.5mm line out jack. To further help improve viewing and accessibility, this display features a tilt of -5 to 21°, a swivel of -40 to 40°, and a height adjustment of 5.1", and a 100 x 100mm VESA mount. Experience improved screen clarity with Full HD (1920 x 1080) resolution on a 23.8" screen. 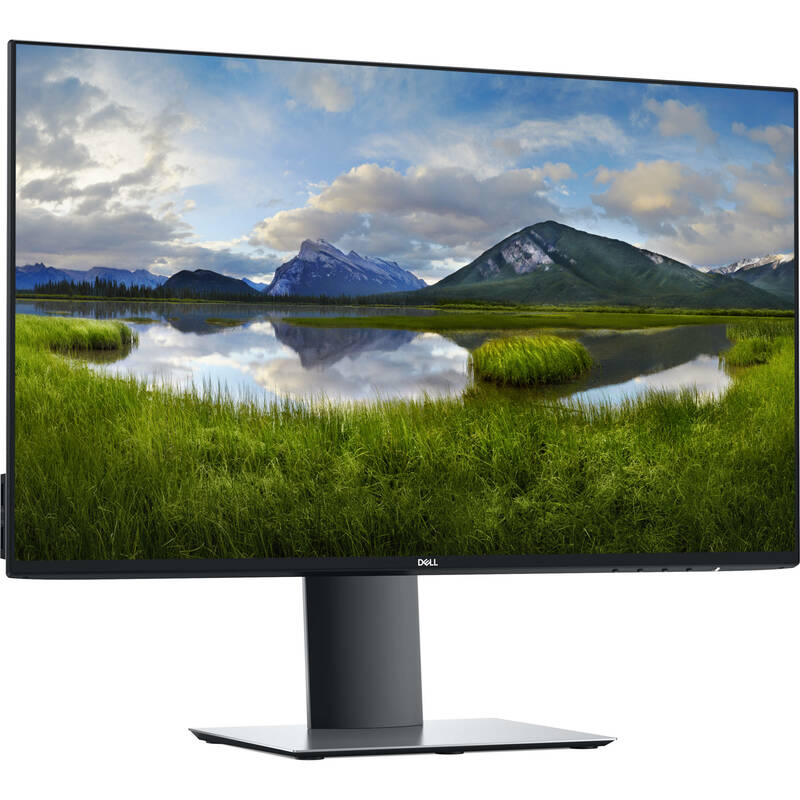 Your UltraSharp monitor is factory calibrated at 99% sRGB coverage to an accuracy of Delta-E less than 2, for precise hues right out of the box. Plus, with 99% Rec. 709 and 85% DCI-P3 color coverage, you'll see true-to-life colors in video formats. See consistent, vibrant colors across wide viewing angles of 178°, enabled by In-Plane Switching (IPS) technology. With a thin panel profile (only 0.3" / 6.5mm at its thinnest) and a compact base that's approximately 30% smaller than its predecessor, you can free up valuable desk space. Pivot, tilt, swivel, and adjust the height of your monitor for a comfortable setup. Dell's improved design, with the hinge on the riser, makes it easier to adjust while keeping the riser in the same place. Focus on your work while hiding away cable clutter with an improved cable management design. This TUV-certified monitor has a flicker-free screen with ComfortView, a feature that reduces harmful blue light emissions. It's designed to optimize eye comfort, even over an extended period of time. The virtually borderless design featuring InfinityEdge lets you enjoy a nearly seamless view of your content across multiple monitors. And, with dual monitors, you can increase your productivity even more. Easily organize multiple applications using predefined templates or a customized template with the Easy Arrange feature on Dell Display Manager software. Plus, you can conveniently tile your applications across a multi-monitor setup. With Auto-restore on Dell Display Manager, you can disconnect, reconnect. and all of your applications will be in the same position where you left off. Box Dimensions (LxWxH) 23.5 x 14.75 x 6.5"